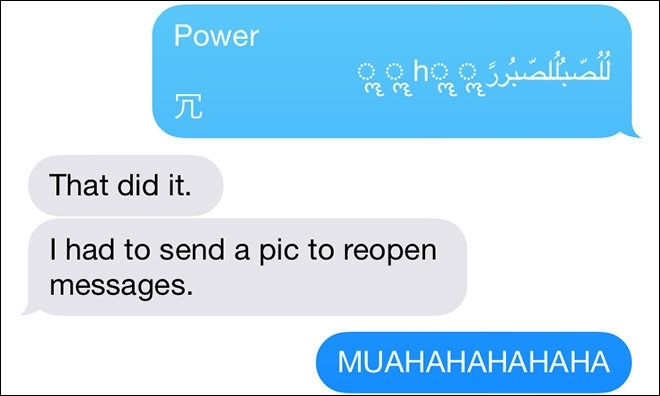 In the mobile operating system Apple iOS identified a bug that allows you to crash the iPhone and force restart the device by sending a single text message. 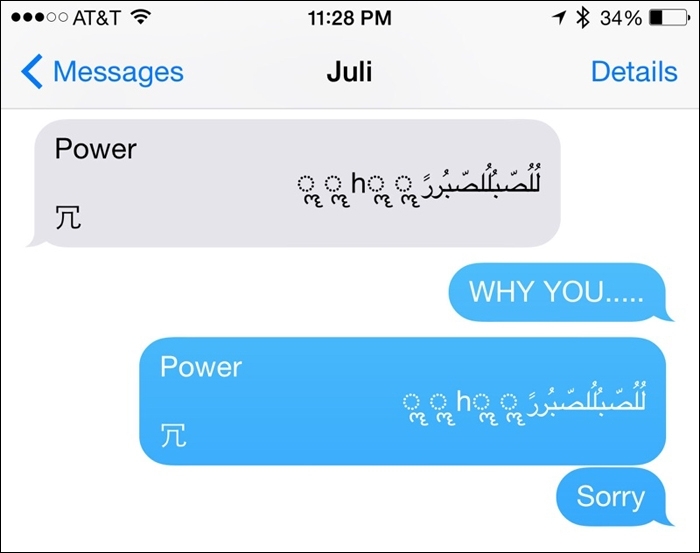 As noted, the reboot happens when you receive a message with a specific set of Latin and Arabic characters. Such a message can be sent via iMessage or SMS. Interestingly, even after rebooting the machine crashes continue. So, if the Messaging in recent times was opened in list mode, it is crashing whenever you try to start. If the program was started in viewing mode of chat with the ill-fated message, the crash occurs when I attempt to switch to another conversation. However, it solves the problem quite simple. When the application is running in list mode it is sufficient to send yourself (or ask a friend) a new message. It can be done, for example, via Siri. In the second case, when the program was opened in the view mode of conversation, it is only necessary to respond to an unwanted message. It is noted that technical support Apple is already aware of the issue and is working on a fix.